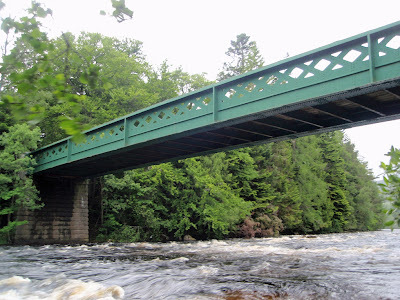 The shortcomings of the suspension bridge at Crathie led to a desire from the Royal family for a more robust vehicular bridge across the Dee at this location, close to the entrance to Balmoral Castle. 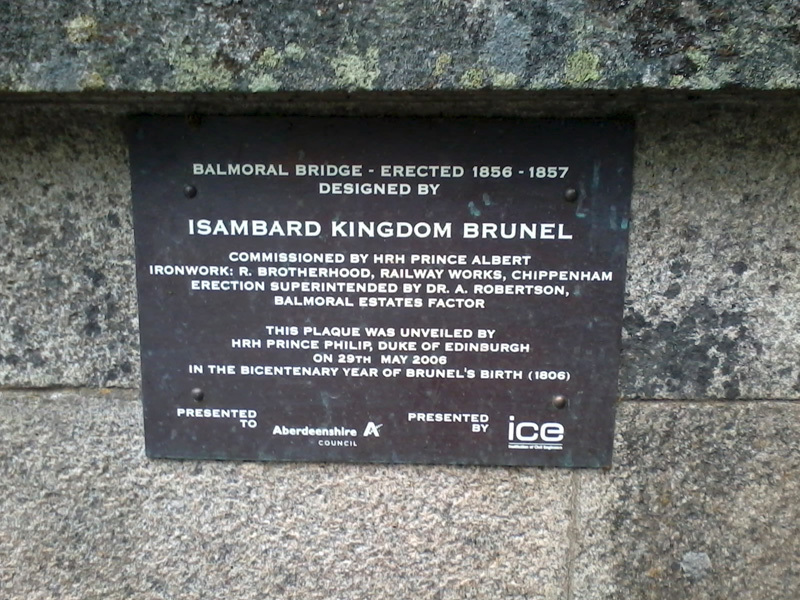 This was designed by Isambard Kingdom Brunel, doyen of Victorian bridge engineering, and completed in 1857. 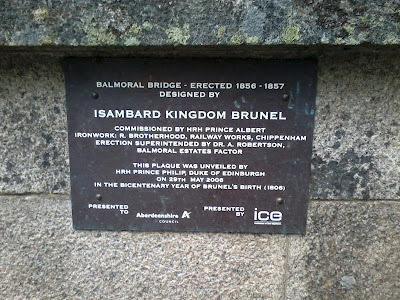 It was, apparently, to prove unpopular with Queen Victoria and Prince Albert, on account of its lack of ornamentation. 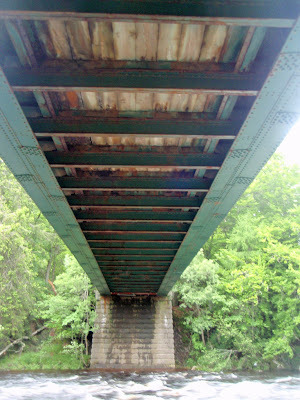 The bridge, which spans 39m, consists of two plate girders at either side, supporting the roadway deck. 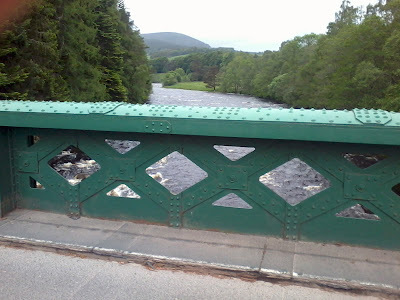 The girders are pierced with diamond-shaped openings towards the top, such that from the roadway, they seem somewhere between a plate girder and a lattice truss. It's thought to be one of the earliest surviving plate girder bridges in Scotland. The road deck consists of tarmac surfacing on timber planks, which span longitudinally between iron cross-girders. Repairs were undertaken in October last year due to deterioration of the timber, with propping inserted between the main girders below the end bays of the bridge deck. A more comprehensive strengthening and refurbishment scheme is due to take place next year. 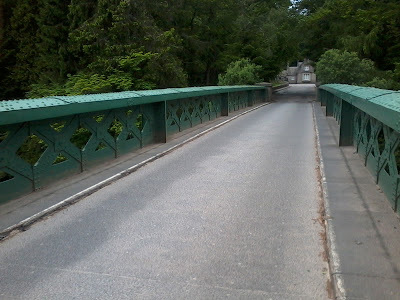 I'm a bridge designer and admirer. All opinions are my own and not those of my employer! Are introverts likely to succeed at becoming good engineers?